It never loses its relevance. BMW 3-series E46 surprised by its beauty, and to this day. 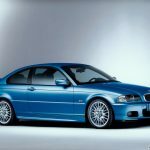 And you can download photos of the BMW 3-series E46 on your phone or computer!